If you’re a right-handed gamer, the thumb buttons belong on the left side, and if you’re a left-handed gamer, the opposite is true. Gaming peripheral maker Roccat has found a way to cater to both types with the same mouse without plopping buttons on both sides (though that’s an option, as we’ll get into in a moment). The mouse is called Kiro and the key to its friendly-for-all approach is a modular design. 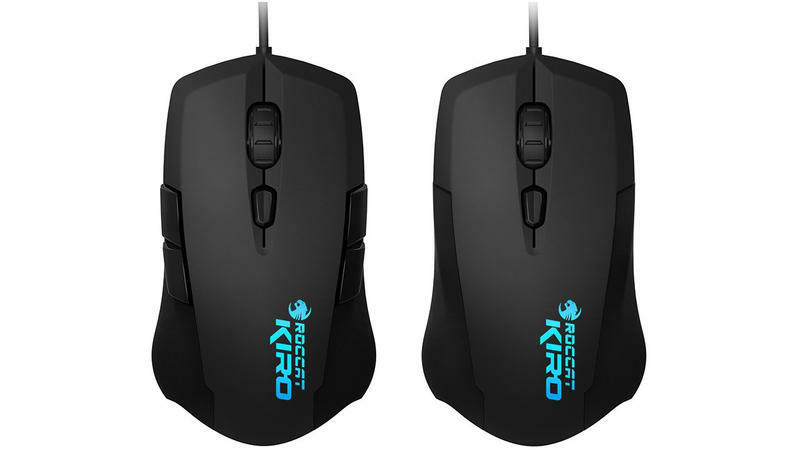 Roccat includes four side pieces with the Kiro — two with forward and backward buttons and two that are blank. These are hot-swappable buttons that you can change in-game, should the desire arise. The whole point is to allow gamers to change the handedness of the rodent, though you could also install buttons on both sides for added versatility, or install blank pieces on both sides for a basic rodent. However you choose to configure the side layout is up to you. 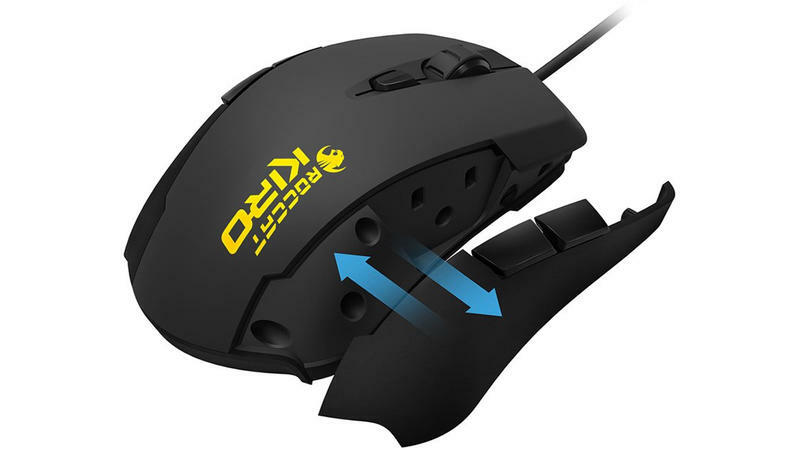 “Kiro features an advanced, modular build that lets you change the handedness of the mouse right out of the box. Its efficient, high-comfort design comes complete with a catalog of four durable side parts, including both buttons and blanks, that let you customize your layout rapidly and get in the game right away,” Roccat explains. Outside of hot-swappable side pieces, the Kiro features a “Pro Optic R2” sensor capable of up to 2,000 DPI, or up to 4,000 DPI when engaging something called overdrive mode. It also features a soft touch finish, 1,000Hz polling rate, 1ms response time, 20G acceleration, Turbo Core V2 32-bit ARM-based MCU with onboard memory, and customizable lighting effects. The Kiro will be available November 27 for $50 (MSRP). Original Post by Paul Lilly, Reposted Courtesy of Maximum PC – Covering everything from hi-end gaming PCs to tablets, peripherals and home theater rigs, Maximum PC’s print and Web editions stay one step ahead of the fast-changing world of everything computer and computing related. Whether its the latest on building your own desktop system, reviews of the latest laptops and accessories, or roundups of the games and software that make your machine go, Maximum PC brings it to you with news, reviews, and years of expertise. TechnoBuffalo is thrilled to bring you the best of Maximum PC right here on our own pages to keep you immersed in all things digital.